I dropped cable for Sling, but am worried about missing Vikings games. I don't think I'll know if I'll get them till it's happening. 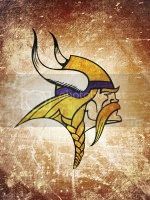 Anyone figured out how best to get Vikings games on Sling? Do you really have to buy Sunday Ticket? I was actually just looking into this the other day. unfortunately i am unable to do sling/directtv now due to my low data limit (im actually stuck on sattelite internet until later this year or early next year, but there are two company that are supposed to be laying in fiber in my area this summer). The best way i can recommend to guarantee seeing all the vikings games is to get a TV antenna (and digital tv converter box to get to HDMI). This again is a solution that would not work for me since i am surrounded by trees and the nearest FOX tower is 70 miles away from me. I would have to get an ultra high range uni-directional antenna that i would have to rotate whenever i want to change stations. If you are located near all the necessary towers you can get an antenna that just sticks to a window or a wall and can pickup 50 miles in each direction. I do have a roof antenna so I pick up local OTA stations along with Sling. My issue is I live in MN but near the Wisconsin boarder. Local stations, especially Fox will always play Packers games but only will play Vikes if there isn't a Packer game going on. It's horrible you can't get Vikings games when you live in MN. Frustrated, thinking the only way to see all Vikings games is to invest in Sunday Ticket, but was hoping there was another way with Sling or other Internet TV option. Ddsemn wrote: I do have a roof antenna so I pick up local OTA stations along with Sling. My issue is I live in MN but near the Wisconsin boarder. Local stations, especially Fox will always play Packers games but only will play Vikes if there isn't a Packer game going on. It's horrible you can't get Vikings games when you live in MN. I cut the cord several years ago and have rarely missed it. Netflix is our best friend. I have the advantage of seeing all Vikings games OTA though, so that's a huge positive. We tried Sling for a bit but found we didn't use it as much as we thought, so we canceled it after a few months. Unless the game is on ESPN, you probably won't find it on Sling. Sunday Ticket should work, but the blackout rules apply for local games. At least that is the way it work through Direct TV. Not sure about the streaming subscription. You may be okay where you are though. I'll admit I loved Sunday Ticket when I had it. I play a lot of fantasy football, and it was awesome for that. You do have other options of streaming the games online.... Reddit.com has a weekly thread of streamed games posted. https://www.reddit.com/r/nflstreams/ The legality of it notwithstanding, there are usually high-quality streams available. I use reddit for streaming Wild games mainly. (I would for the Vikings if i had to) I was willing to pay for a subscription to Fox Sports Go, but they are in bed with the cable companies, and you are blocked out locally. So, instead I had to go another direction. Ddsemn, may i ask what town you are in? have you tried a tool like this http://otadtv.com/tvtower/index.html to see if there are other towers for FOX that your antenna could reach? I went through the vikes and packers tv schedules, there's actually only 3 conflicts with both games on the same network and time. It's guaranteed Vikings won't be aired here, near LaCrosse and Packer country. I'm in a valley and only get one fox station (and barely or not at all sometimes), maybe a better antenna may possibly help, but I'm not hopeful. It just seems weird there isn't a way to stream games, pay per view for individual games, or for a season for a team. You'd also think there would be some obligation on Fox to air Vikings games to all areas of the state, in exchange for the broadcast rights. Can't you stream it on the Vikings website? Plus there re sites that do stream games, although their legality is questionable.